A professional photo session is something that will last a lifetime! And 1PORTRAIT are the leading professional portrait photographers in Dublin. With modern, relaxed, photo studios, 1PORTRAIT creates natural, timeless images for you and your family to cherish for years to come. Founded by award winning photographer Bryan Brophy, 1Portrait specialises in photographing babies, children and families of all ages. Create memories with any photo session and any of our beautiful handmade Frames or Block Mounted Prints. 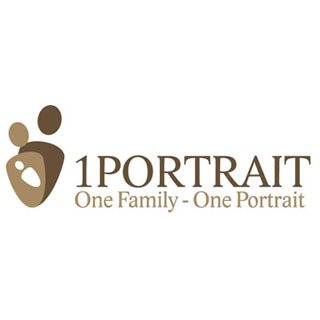 1Portrait is located at 51 Knocklyon Road Dublin 16. 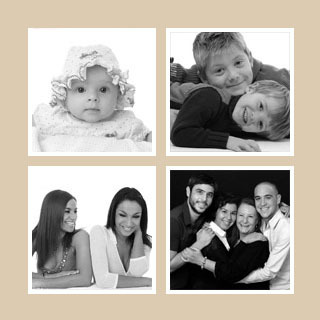 Use this gift voucher on AllGifts.ie to order from 1PORTRAIT Photographic Studios. Or you can order a 1Portrait voucher for delivery by post and make a booking directly with them at a later date. Advance booking is required for all photo sessions. 1PORTRAIT Photographic Studio is open from Tuesday to Saturday, 10am-6pm. Gift vouchers are sent out free of charge.